I remember my junior year of college, when rheumatoid arthritis invaded my life and every day was agony. As I pushed myself from class to class, I'd have this "expected" conversation over and over with various people. Except, I began to realize that I could no longer give the standard answer: "I'm fine. How are you?" Because I wasn't fine. On the outside I still looked the same, but in reality I was barely hanging on. At that time I learned not to answer the question, "How are you?" I'd just smile and move on or say something generic like "Have a good day." For the most part, no one noticed, because they didn't really intend to start a conversation...it was just the polite way of greeting people. I also learned not to ask other people how they were, unless I really wanted to know and was prepared to stop and listen to their answer. When I did, there were a few people I really connected with. With those few, we were able to share the reality of our circumstances, moving past the fake front of "I'm fine." Praise God, I survived those awful months of ceaseless pain. The arthritis went into remission, and life carried on. But this week I was reminded again that things are not always as they seem - in our own lives or with those around us. I think those of us with chronic illness understand this pretty well. We can go somewhere, even though we feel awful, and someone will say, "Hey, good to see you. You look great!" What can we say? "I may look great, but I feel horrible"...? Most people wouldn't believe or understand us. When I was at my worst point several years ago, whenever someone told me I looked good, I'd go home and stare in the mirror. I'd see the dark circles under my eyes, the pale skin, the dull eyes, and I'd wonder, how can they possibly think I look good? Perhaps with some people it's just their way of trying to encourage us. But sometimes they really don't see what we see. And that is true for us with others. When we see healthy people walking around, seemingly enjoying life, we may feel envious or think their lives are easy. But in reality almost everyone is struggling with something. They may smile and say they're fine, even though they have a broken heart, or a debilitating fear, or any number of other challenges that we can't see on the surface. Things aren't always as they seem, for us or for others. Perhaps as we remember this, we'll be able to show more compassion and grace to people. When we don't understand them or feel tempted to criticize or envy them, let's say a prayer for them instead. Let's lift them up to the One who knows and sees everything, in their lives and in ours. It continues to astound me how many people buy products every day and never read the labels. Whether it's food, soap, vitamins, clothing, or something else - it's important for your health that you know what you're buying. If you buy any food in plastic, a box, or a bag (which I don't recommend), please read the label and at least check for things like "high fructose corn syrup," "hydrogenated oil," or anything with "nitrate" in it. These are very harmful to the body and should be avoided. Also, check the sugar content. You'll be surprised how many grams of sugar you're eating per day because they add up in all those "non-sweet" products that actually contain sugar (or other unhealthy sweeteners). Even products that say "all natural" aren't always what they claim. Read the ingredient list and see just how "natural" it is. Produce and meat also have important information on the label - Is it organic? What country did it come from? What is the "best by..." date? Watch out for meat that may say "all natural" and was fed a "vegetarian" diet. We recently bought some beef with these claims. Turns out the "vegetarian" diet was a form of soy feed...not good. Cows should eat grass, not soy products. And I don't want to eat soy, by itself or in my meat. Whatever you put on your skin is absorbed into your body, basically like if you ate it, only worse since it goes right into the bloodstream. So if you wouldn't eat the product, definitely don't put it on your skin. Shampoo, soap, even toothpaste, can all contain toxic ingredients. Watch out especially for anything that ends in "...paraben". These are hormone disruptors. Most personal care products are just toxic soups. It's better to shop for natural or organic products. Though remember that even in a health food store, not all the products sold are truly healthy. Read the ingredients and if in doubt, don't buy it. If you're looking for natural and organic personal care products, I recommend Karen's Naturals. A lot of vitamin brands have very poor regulation. So you can't be sure of the content, amounts of the vitamins, or the variety of unhealthy "fillers" that were used. Along with reading labels, my best advice is don't buy vitamins at a discount store. Find a reputable brand and always read the ingredients. Check to see if the product is free of "corn, soy, wheat, sugar, dairy, yeast," etc. Based on what your allergies or sensitivities are, you might have to search a little to find a brand that meets your needs. Remember that just because it's a "vitamin" or supplement, does not mean it's automatically healthy. I try to only buy 100% cotton clothing (occasionally I buy something with 2% spandex, since it's hard to find jeans without any spandex). Fabrics like polyester, rayon, and nylon are made from chemicals (mostly petroleum based). These are not natural or healthy for the body. Remember that what you wear touches your body all day long, and your skin easily absorbs chemicals and toxins from synthetic clothing. Try to stick with clothes made from natural fibers, mainly cotton (wool and silk are also natural, but some people are allergic to them). These are just a few of the products people buy every day. I encourage you to get in the habit of reading labels on everything. I realize that you can't necessarily change all your buying habits, but at least be aware of what you are putting in/on your body. Do the best you can to make smart choices for your health. 1) If the label says "made in China" - put it back on the store shelf. Products made in China contain high levels of toxins, chemicals, and metals. If you keep looking, you can almost always find what you need made somewhere else. 2) If you can't pronounce some of the ingredients, don't buy the product. 3) Generally speaking, the more ingredients contained in a product, the more toxic and unhealthy it is. 4) Always check for warnings and err on the side of caution. If a product warning says something like 'contact a doctor if swallowed,' then you probably shouldn't even have it in your house. I hope this helps you be more informed and prepared to read those labels and protect your health. The new 2014 Shopper's Guide to Pesticides from the Environmental Working Group has been released. If you can't afford to buy all your produce organic, then this is a very helpful list. For myself, I buy everything organic or I don't eat it. But I'm only one person. I realize most families can't afford to eat completely organic. So here's the list to help guide your shopping. Produce listed under the "Dirty Dozen" has very high amounts of pesticide and should definitely be purchased organic or avoided. The produce under "Clean 15" has the least amount of pesticides, if you would rather not buy them organic. hot peppers, Kale/Collard Greens, lettuce, cherries, blueberries, pears, tangerines, and carrots. *NOTE: Watch out for genetically modified produce. Almost all corn is now genetically modified, so unless it says very clearly on the label "Non-GMO" I recommend avoiding it completely. Some pineapple and papaya are also now GMO. If it doesn't say "Non-GMO" then either avoid it or do the research to make sure it's coming from a safe and reputable source. Also, almost all soy products and most tomatoes are now GMO. Here's a good article on GMO - what it is and its dangers. Mostly I focus on general health information on this blog. I try to share things I think will be helpful to everyone, regardless of their specific health challenges. 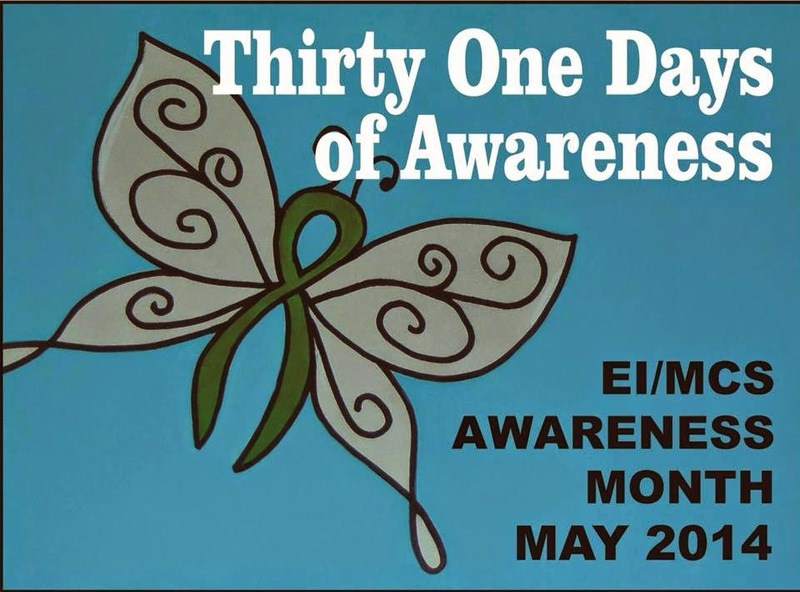 But since my particular challenge has been EI (Environmental Illness), I appreciate the opportunity to raise further awareness about it through EI/MCS awareness month in May. If you're new to this blog, Environmental Illness is basically an umbrella term that includes several different health conditions. These conditions usually result from triggers in the environment (such as chemicals, toxins, mold, etc. ), and they also cause greater sensitivity to the environment (allergies, asthma, etc). The reality is that every person is affected in some way by the excessive amount of chemicals and toxins in our world today. Some people are more vulnerable, for various reasons, and end up with one or more of the conditions above. This is especially true of children and teens now, who more and more are developing unexplained health problems...except it's not really unexplained because the cause is almost always environmental. Other people may seem perfectly healthy and not notice immediate problems from all the toxins they're exposed to. But later on in life they end up with heart disease, high blood pressure, cancer, etc. These conditions don't just happen randomly. They are a result of something, and often that something can be traced back to toxins, chemicals, mold, radiation, etc. The reason I share all this is that I really want people to be informed about the state of the world today. It is in general a very toxic, unhealthy place. Good health can no longer be taken for granted. Each person needs to be aware of environmental hazards and take action to protect their health. That's mainly what this blog is about. Yet even as I try so hard to inform others about toxins and how to find a truly healthy lifestyle, I still meet numerous people who have no idea what I'm talking about. So in this month of raising awareness, will you help me? Will you pray about one person who you could share some information with? Will you choose one person, pray for their heart to be receptive, then send them whatever information you think is appropriate for their situation? The dangers of carpeting from all the toxins and chemicals it contains (just one example of high toxic levels in everyday products). Mold toxicity and some things you can do for it. The dangers of excessive EMF (electromagnetic frequency) exposure and how to minimize your risk with it. The serious health effects of eating products containing "high fructose corn syrup." The truth that 40% of cancers are preventable, and the environmental factors that are known to cause cancer. If you have a specific topic of information you want to share with someone that's not covered here, please email me or leave a question in the comments. I have many other posts on lots of topics, or I can almost always find a helpful resource somewhere else if I haven't covered it here on the blog. I do hope you'll join me this month in spreading awareness. I'm not as concerned that people know what EI is, as much as I want people to know the risks of living in today's environment and what they can do to stay healthy. Thank you for sharing the passion for good health! I realize it's been a while since I've posted updates on some of my EI friends that you've prayed for in the past. I value your prayer support so much. So here are a few prayer requests, as well as some praises from others who are improving in health, praise God! *S & T - mother and son are still seeking answers for his severe chronic pain. They were at a clinic in FL for several months, then returned home. Now they're at a different clinic. They recently did the genetic testing to see what mutations may be affecting his ability to detox, still awaiting results. -Please pray for much grace to endure, for supernatural joy in the Lord, and for some real answers and help to come soon. *S & R - mother and daughter have been struggling for years with so many health issues. R is in a very desperate situation - can't eat solid foods, has lost much weight, serious edema, heart attack/episodes, etc. She has an appointment at Mayo Clinic May 12th. -Please pray for an earlier appointment if possible, for divine insight for the doctors to know how to help R, for clear thinking for S & R in making decisions, and for God to bring healing! Thank you! *A. - dealing with the progressive, debilitating results of Lymes and other challenges. Her faith is strong, but the suffering is intense. 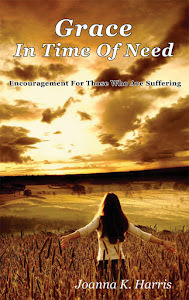 -Please pray for wisdom in all health decisions, for greater awareness and experience of God's love, and that Jesus will be glorified through her suffering. Let's continue praying for supernatural healing for each of these, as God wills. Also for closer relationships with Jesus. And that God will reveal His goodness in every circumstance. Thank you! *My brother was diagnosed in March with mono, Lymes, parasites, candida, etc. Since then he's been slowly recovering. The mono and candida are gone, praise God! He's currently addressing the parasites, and thankful for progress. *A.F. - he was diagnosed with Parkinson's last year and was extremely ill. Since then he's been doing a protocol for mold toxicity and is about 75% better! He still isn't back to full health, but is so grateful for this level of improvement. Thank you Jesus! *J. 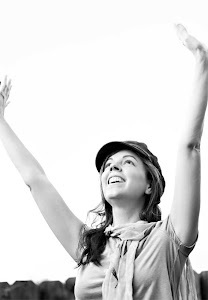 - after years of suffering she has experienced so much healing that she's able to work full time! Though some challenges remain, she's so thankful for all the health she's regained. Praise God! Thank you again for praying for these dear ones and for rejoicing in the healing God is bringing. I can't explain how He works or why He does certain things, but I know that my heavenly Father is good and wise in all things. That is our hope in every situation. I pray that truth will encourage you today.